Maddy, Liam, and Sal quickly learn that time travel is no longer just a hope for the future; it is a dangerous reality. And they weren't just rescued from their terrible fates. . . they were recruited for the agency of TimeRiders created to protect the world from those seeking to alter the course of history for personal gain. By reliving the highly documented events in New York City on 9/11, they can closely monitor history for any deviations—large or small. When just such a change is detected, they are alerted that a threat is at hand unleashing the evil of the Nazis to wreak havoc with Earth's present and future. Can Maddy, Liam, and Sal fulfill their destinies as keepers of time to save the world from utter destruction? 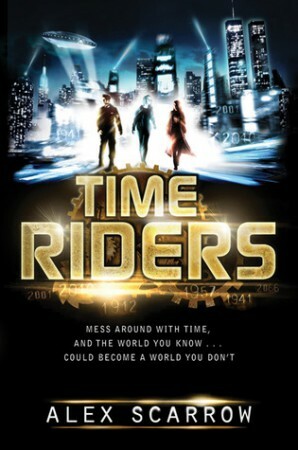 TimeRiders combines two of my favourite things – time travel and history – and mashes them together in a fast paced story. 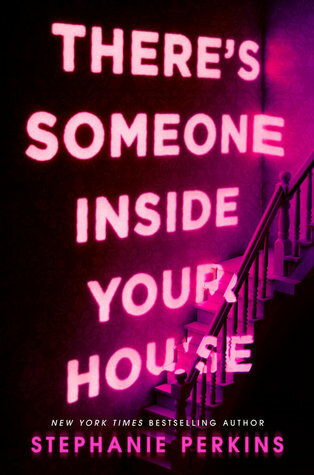 I wasn’t expecting to love this book, because I think it’s aimed towards younger people, but I did really enjoy it. This book kicks off with a guy saving three teenagers from various points in history, and I was sold from the moment Liam was rescued from the Titanic. From then on, it was an exciting, easy to read story, about the three teenagers as they race against the clock to save some evil people from changing history. From what I can tell, each book in this series focuses on a different point in history (and perhaps the future? ), and the team travels back and forth, stopping the villains as they try to mess everything up. In TimeRiders, someone goes back and helps Hitler win the war. From there, we see how this affects our current society, and I absolutely loved seeing all the differences and the impact that it had on the future generations and countries. While TimeRiders was engrossing, it wasn’t the most beautifully written story. You can tell that it’s aimed at younger teenagers as the writing is more simple and less intricate than books aimed at an older age group. But that didn’t impact my enjoyment of the book at all, in fact it only meant that I finished the book in a couple of days. I’m very much looking forward to continuing with this series, especially since there were some hints dropped in this book that I think will become relevant in future books. And I spotted something at the end of this book that kicked off a theory, and I am SO. THRILLED. to find that – after reading the sequel – I was right. Ha.